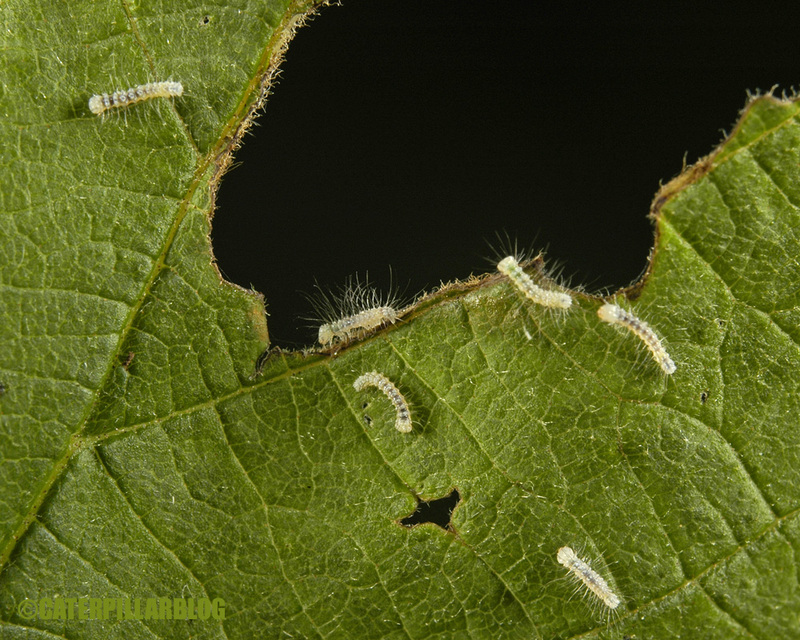 Lots of fuzzy baby caterpillars here in the lab. 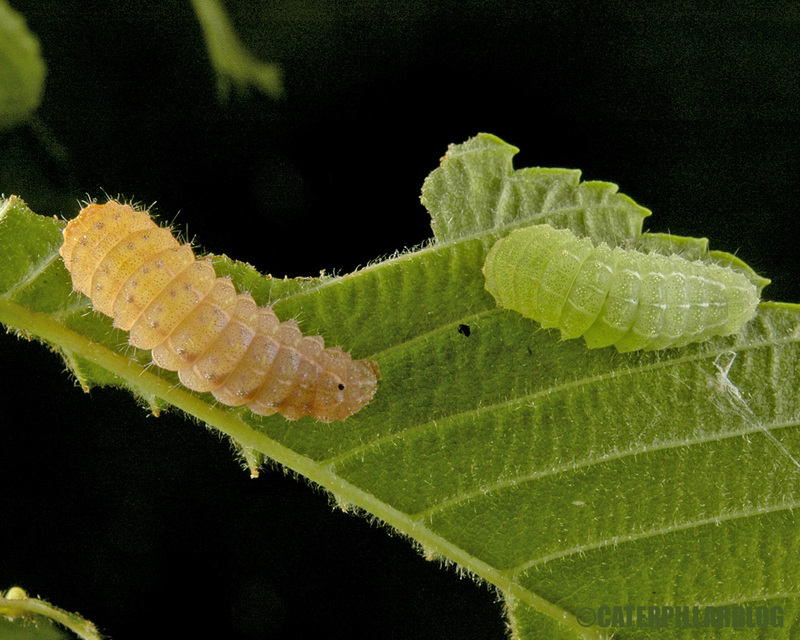 Right now these two species look pretty similar, but the differences will start accumulating in the next few instars. Currently they are less than a week old. The first two photos are the babies from this post! 300. 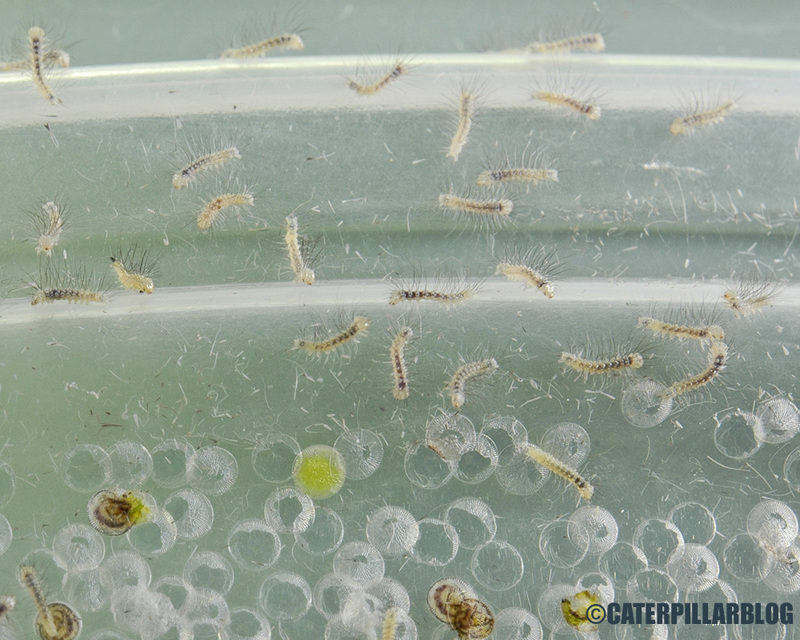 That is how many little Acronicta hastulifera caterpillars hatched this weekend (click here to see the mother). Actually, there were probably more than 300, but I stopped counting. 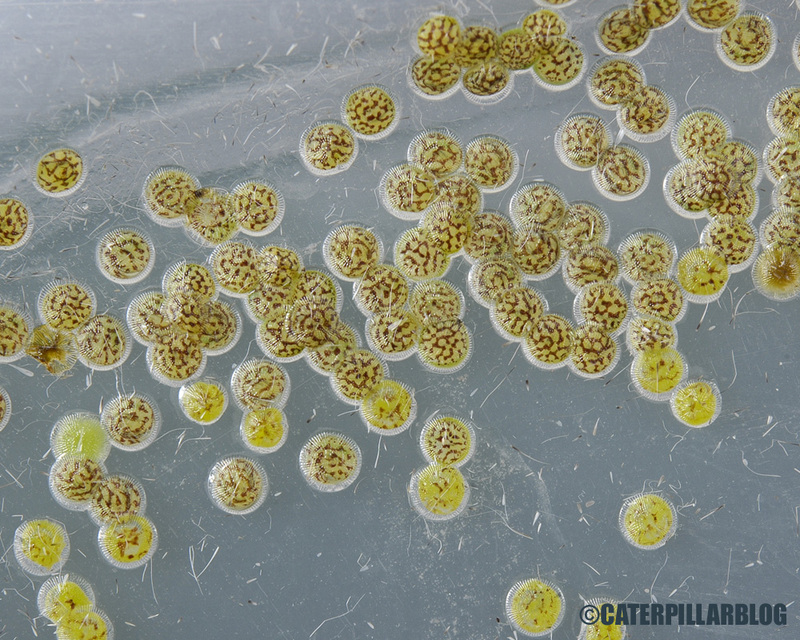 Developing eggs, two days before hatching. 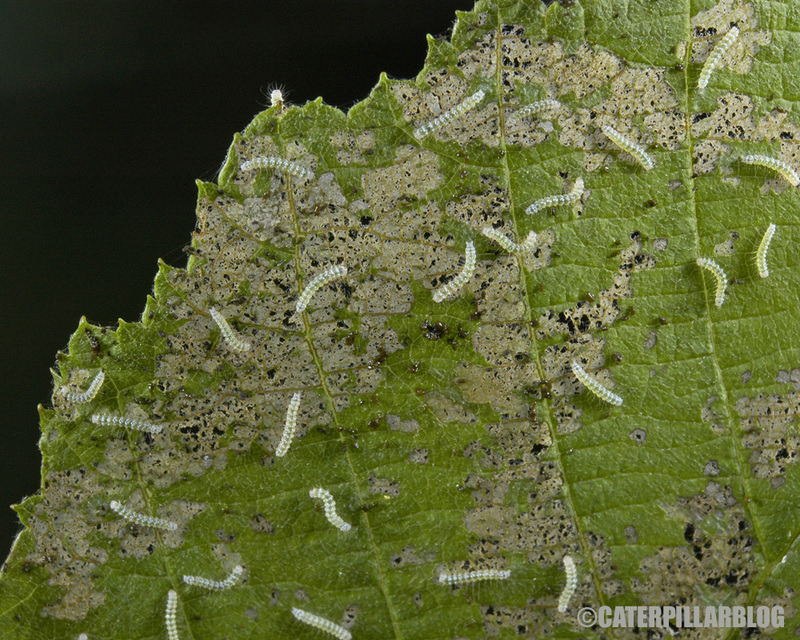 Lots of little first instars. As you can see by the giant holes in some eggs, many of them ate their egg-shells before wandering off. 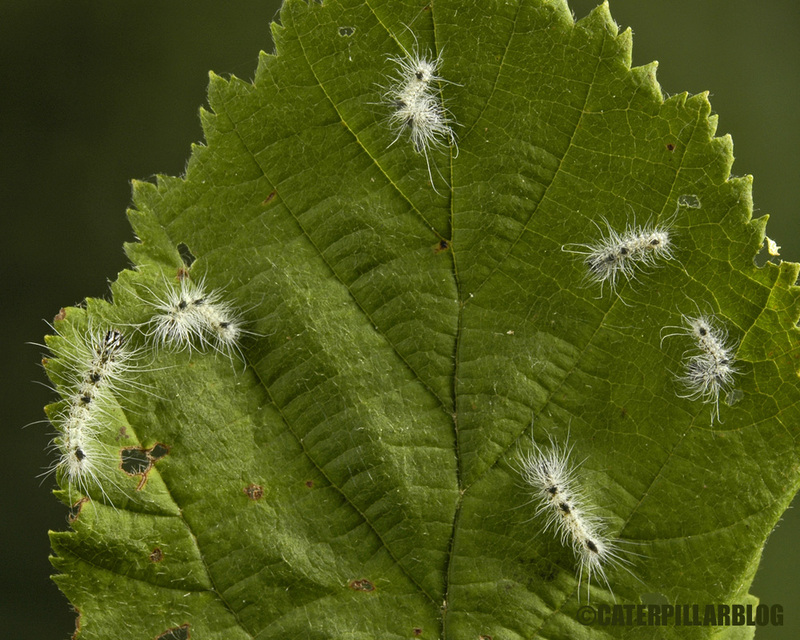 Babies on their host plant, alder (Alnus). Exploring a bit before settling down to eat. 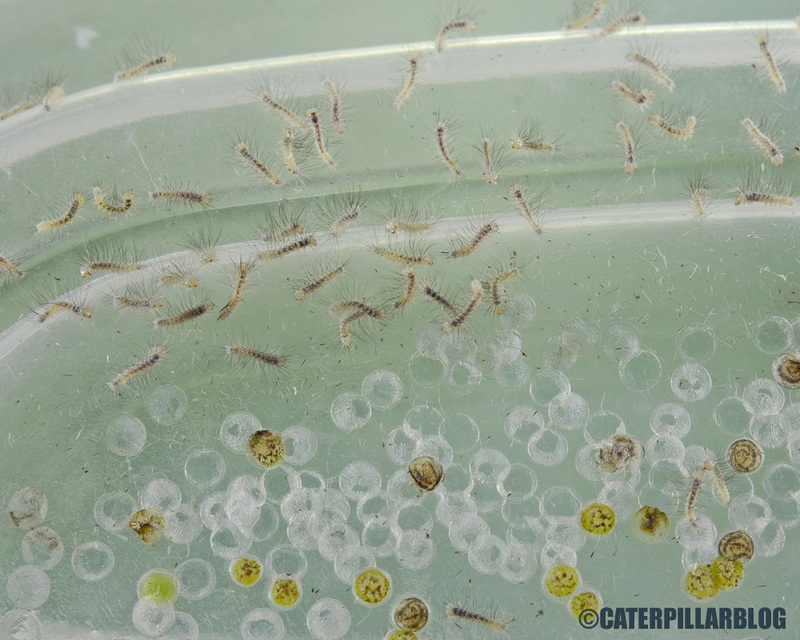 They are going to become wonderfully fuzzy caterpillars as they grow. I can’t wait! This one was not interested in being a model, it just wanted to continue nibbling the leaf edge. 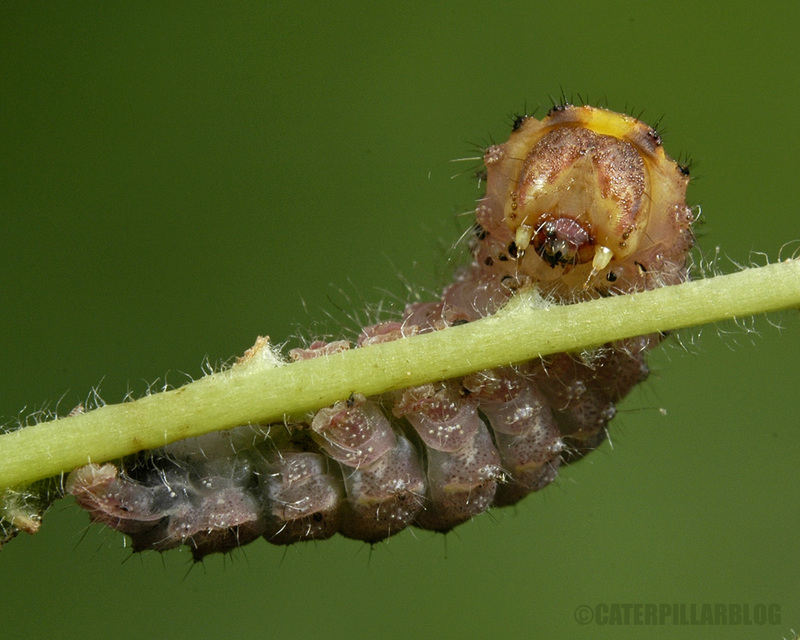 Many caterpillars are known to turn purple-ish, red-ish, or pink-ish just before pupation. 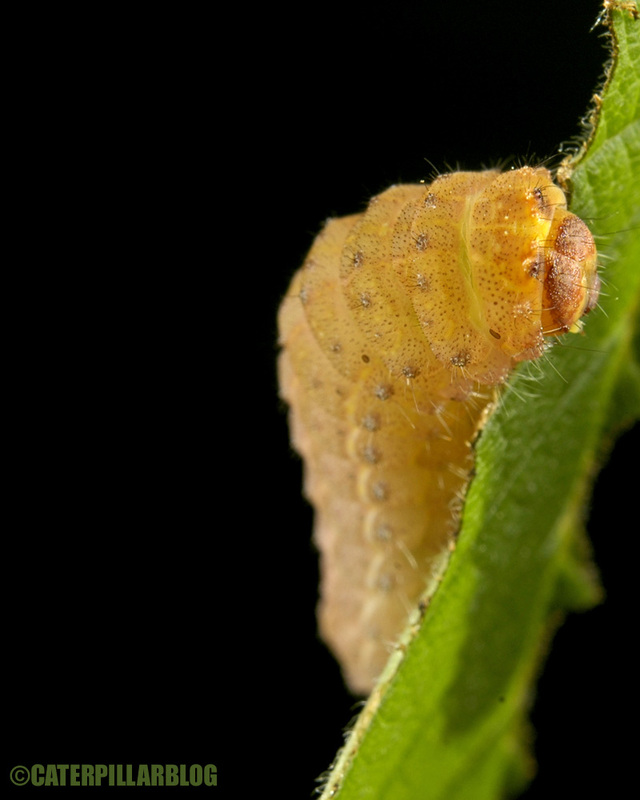 However this orange color change happens while the caterpillar is still feeding, sometimes up to a week before pupation. 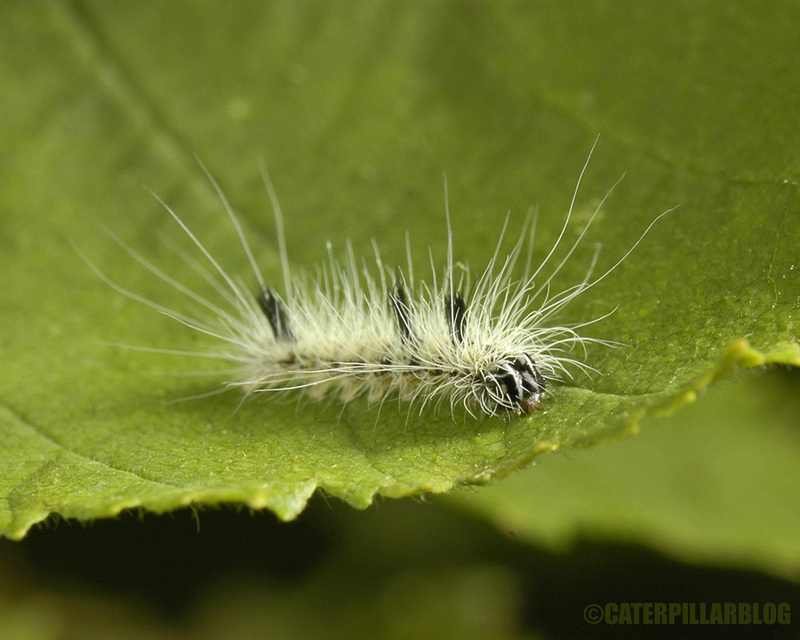 It happens in Acronicta vinnula as well. 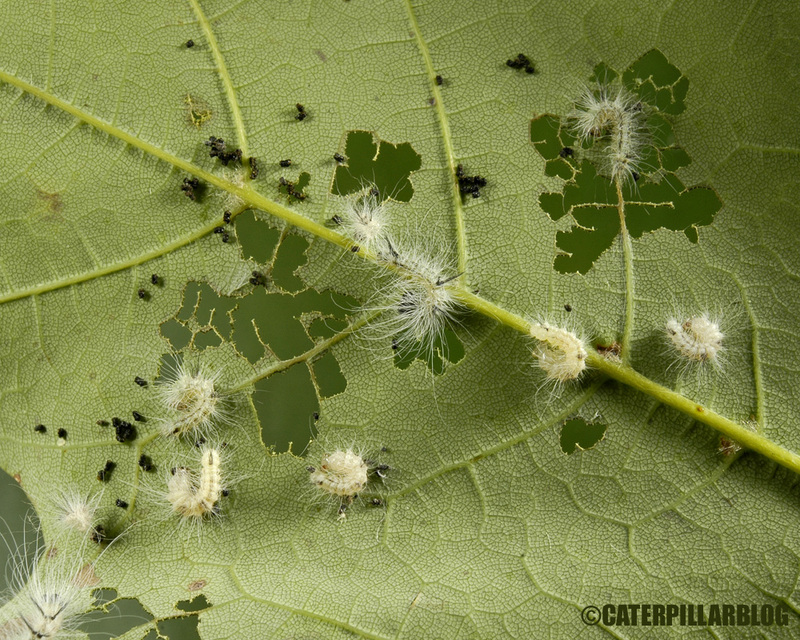 I wonder why a caterpillar would want to be orange while still feeding on green vegetation?